ChildCare Education Institute® (CCEI), an online child care training provider dedicated exclusively to the early care and education workforce, offers CUR119: Theater Arts in Early Childhood Education Ages as a no-cost trial course to new CCEI users July 1-31, 2018. The research is consistent and extensive: engagement with “the arts” brings significant benefits to young children of all ages. From the time they first hear music, make their first dance move, lift their first crayon, or play “house” for the first time, arts-related activities provide physical, cognitive, and social-emotional benefits to young children. An arts-integrated curriculum can help young children learn about themselves and the world around them. In addition to opportunities for fun and self-expression, the arts serve as a platform for developing vocabulary and other language skills, critical thinking skills, cultural knowledge, physical skills, and much more. This intermediate-level course explores ways to incorporate theater arts into the early childhood curriculum to promote development of social-emotional, cognitive, and early literacy/language skills. Course content is relevant to teachers of all age groups, though many of the activities will be appropriate for pre-K and up. Participants will learn about the connection between early dramatic play and structured, teacher-planned activities that build cultural knowledge and skills related to critical thinking, creativity, and emotional expression. This course provides numerous ideas for activities and teaching strategies teachers can start using right away, plus resources and guidance to assist in creating staged theatrical performances. CUR119: Theater Arts in Early Childhood Education is a two-hour, intermediate-level course and grants 0.2 IACET CEU upon successful completion. Current CCEI users with active, unlimited annual subscriptions can register for professional development courses at no additional cost when logged in to their CCEI account. 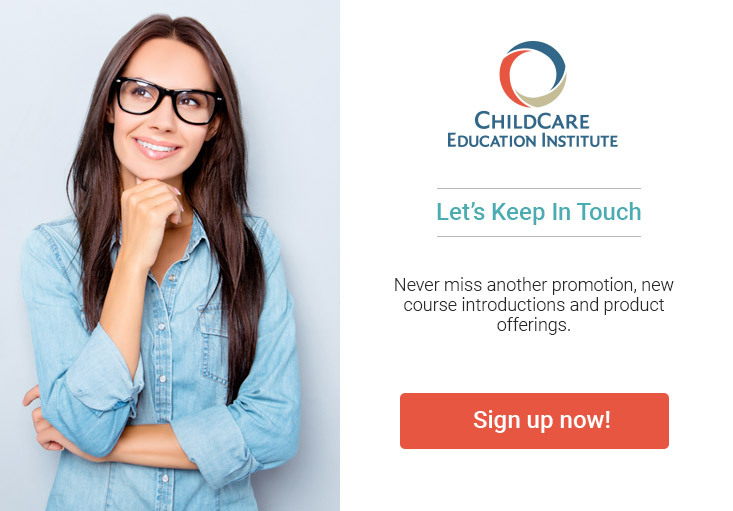 Users without subscriptions can purchase child care training courses as block hours through CCEI online enrollment.